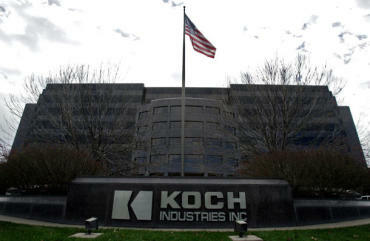 Koch Industries, the billion-dollar energy conglomerate that faces regular attacks from liberal groups for donating millions to conservative and free-market political causes, reported that a national Democratic group approached the company seeking campaign donations. The appeal went out out over the signature of Washington Sen. Patty Murray, who chairs the Democratic Senatorial Campaign Committee (DSCC). The DSCC asked Koch for a five-figure donation, a request the company is making very public after it weathered months of criticism from Democrats, including the DSCC. A Koch spokesman responded to the request with a scathing letter to Murray. "For many months now, your colleagues in the Democratic Senatorial Campaign Committee leadership have engaged in a series of disparagements and ad hominem attacks about us, apparently as part of a concerted political and fundraising strategy," wrote Philip Ellender, Koch's president of government and public affairs. "So you can imagine my chagrin when I got a letter from you on June 17 asking us to make five-figure contributions to the DSCC. You followed that up with a voicemail indicating that, if we contributed heavily enough, we would garner an invitation to join you and other Democratic leaders at a retreat in Kiawah Island this September." Ellender added: "I'm hoping you can help me understand the intent of your request because it's hard not to conclude that DSCC politics have become so cynical that you actually expect people whom you routinely denounce to give DSCC money." Earlier this year, Senate Majority Leader Harry Reid sent out a letter to supporters on behalf of the DSCC that blasted Koch Industries. "Senate Democrats are fighting back each and every day. But with only a slim four-seat majority, we have no margin for error," the letter said. "If Republicans can knock just a few bricks free from our firewall, they'll force through their extreme agenda faster than you can say 'Koch brothers.' "
Koch also recorded a voicemail from Murray asking for a donation from the company's political action committee that included the prospect of an invitation to Kiawah Island, which Ellender mentioned in his reply to the Washington senator. "You have been a past supporter of ours through your PAC and I wanted to catch up with you," Murray said in the voicemail. "I wanted to see if you would be willing to renew your membership. We've got a great retreat coming up in Kiawah Island this fall in South Carolina, we'd love to have you join us." While Republicans receive a majority of political donations from Koch Industries, the company has contributed to Democrats as well. From 2006-2010 the company gave $60,000 to the DSCC, and has donated nearly $1 million to Democratic candidates since 1998 through its political action committee. 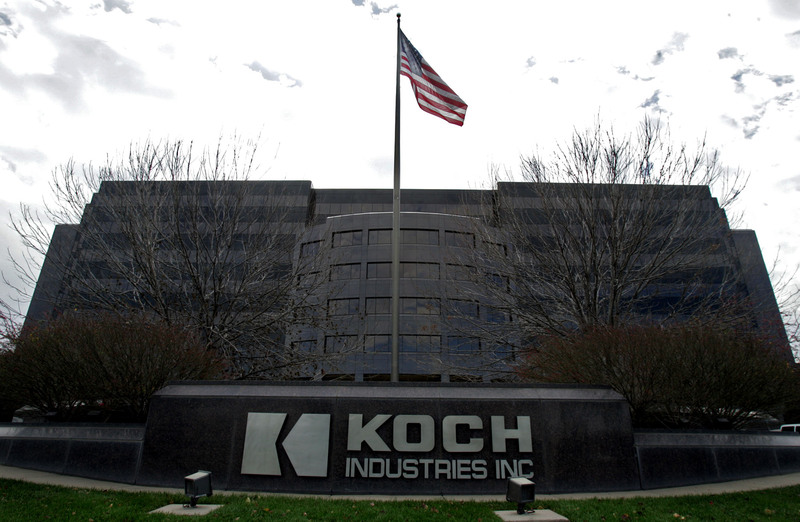 Koch has been politically active for years, but the company attracted major attention from liberal groups after an exposé in the New Yorker chronicled how the company has put money behind ideological organizations affiliated with the tea party movement. Politico reported in February that company owners Charles and David Koch plan to donate at least $88 million to conservative causes during the 2012 election cycle. Thank you for your genuine, heartfelt concern about our recent solicitation and your request for clarification. Indeed, the form letter and follow-up solicitation you received was a staff error. However, the bigger and more troubling mistake is the long political history of your employer, the Koch Brothers. As a (former?) Democrat, perhaps your time would be better spent looking into their efforts to privatize Social Security or their opposition to expanding the children's health insurance program. Or maybe, you can post a list of all of the anonymous contributions they have made to right-wing smear campaigns across the country. If you'd like to share voicemails from all the shady groups asking you for millions of dollars, we'd happily listen to those as well. So, I write to make it clear that your invitation was an error and has been rescinded. P.S. : I was impressed how quickly you responded, given how often you must be on the phone with Governor Walker of Wisconsin.